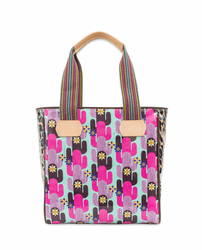 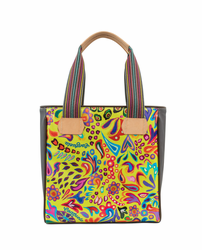 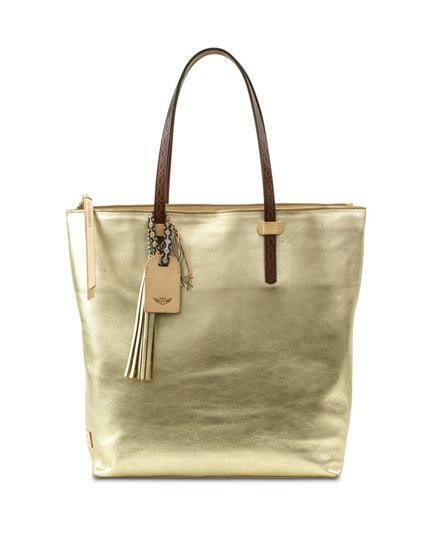 Consuela's Market Tote style in soft, metallic leather comes with a one-of-a-kind Consuela friendship bracelet with luggage tag and adorned with a fringe charm. 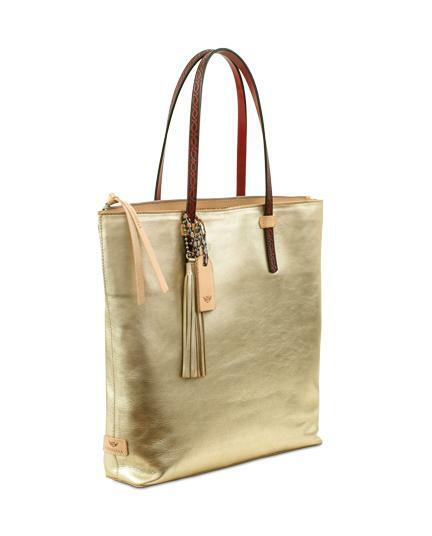 Inside you’ll find a full-sized zip compartment along the back for valuables... even fits your tablet or 17” laptop. Connect the inside lanyard to your keys or wristlet for an easy grab. 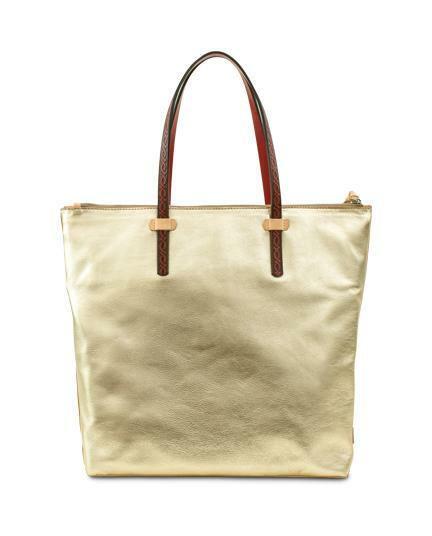 This tote is topped with black specialty leather straps with cream lace details. 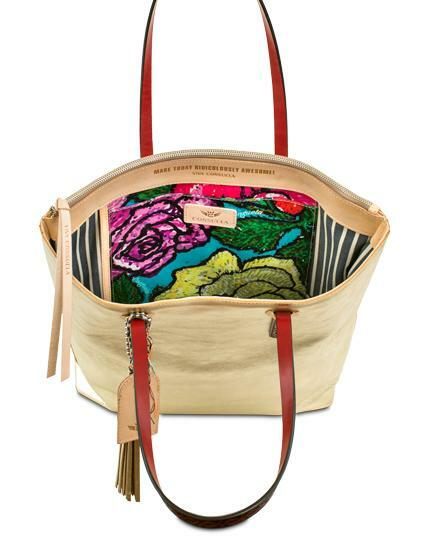 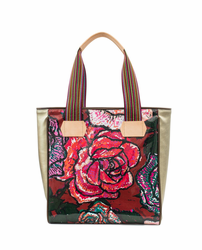 The Frida collection bags are made from Consuela's unique and signature natural leathers that are untreated, so they burnish and darken with time and travel.